The John Adams Institute provides an independent podium for American culture in the Netherlands. For three decades now, we have brought the best and the brightest of American thinking from the fields of literature, politics, history, technology and the arts. Love it or hate it, the United States plays an important role in the world: what happens in the US is of continuing relevance for the rest of the world, and we provide a window onto that. The Dutch founded the colony New Amsterdam on Manhattan Island in the early 17th century, which later became New York. America’s most vital elements – its heterogenous society, its entrepreneurial spirit – are rooted in those Dutch beginnings. Now that immigration, diversity and identity are major topics of debate in both countries, America and the Netherlands stand to learn from each other. We believe in the power of words and ideas, and in intellectual exchange through real-life encounters. Through the years we have invited speakers such as Madeleine Albright, Jonathan Safran Foer, Spike Lee, Jonathan Franzen and Nobel Prize winners Toni Morrison and Joseph Stiglitz – to name just a few – to share their thoughts and insights with audiences in the Netherlands. Our name commemorates the man who was the first emissary to the Netherlands of that young new country in 1780. 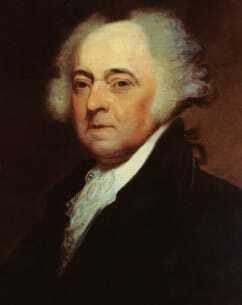 John Adams, co-author of the Declaration of Independence, later became the second President of the United States. His son John Quincy Adams would follow in his footsteps as the sixth President. John Adams was a great lover of culture and scholarship. Before becoming President in 1797, he resided in the Netherlands from 1780-1782 as an envoy and actively sought contact with the social and economic elite, befriending bankers, politicians and other influential persons who could support the fledgling republic in its war of independence. Adams laid an enduring foundation for Dutch-American friendship by signing the Treaty of Amity and Commerce with the Dutch in 1782. The ties between the two countries were cemented when the Netherlands became the second country in the world, after France, to recognize America’s independence. During his sojourn in the Netherlands between 1780 and 1782, John Adams lived not only in Amsterdam but also spent six weeks in Leiden, and his sons John Quincy and Charles Adams went to university there. He returned to Leiden regularly until he went back to the United States – but even after that he maintained close ties with his friends in Leiden. Former mayor of Leiden Jan Postma wrote an article in 2011 for the historic publication ‘Leiden Annual’ about Adams’ Leiden years, which also gives insight into the relationship between the young United States and Dutch politics. You can read the article (in Dutch) here.